now for only $25! Joining is incredibly affordable. Annual dues of $25 connects you to a worldwide network of Rutgers Turf colleagues who understand and value the intense turf experience at Rutgers. That network includes superintendents, directors, and top-level decisions makers among over 1,700 active alumni in all 50 states and 11 countries around the world. You won’t find a more tightly focused network in the industry than RTAA. We also offer a silver and gold level of support. With a donation of $50, you will receive a Professional Golf Turf Management hat. For a $75 donation, you will receive a Professional Golf Turf Management shirt. 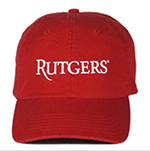 You can join in minutes at www.golfturf.rutgers.edu/alumni, and you can view both items at www.golfturf.rutgers.edu/hat-shirt. Send us your best prospects. We also invite to you to send us the next generation of turf leaders. Please scan your organization and your personal network for someone with hunger, strength and promise to excel in the Turf class. Because no one knows better than you what it takes, we value alumni recommendations highly in the application process. Help us build and strengthen the Rutgers program. Send us your best – and start right now by having them call or email Casey Noon at 732-932-9271 or noon@njaes.rutgers.edu.You know the challenges that await our students. Your support through your annual dues provides scholarships to help them through those hard weeks in the Holly House without a paycheck. By joining, you’re investing in yourself by connecting with thousands of like-minded colleagues around the world, and you’re helping grow the next crop of industry leaders. Join the fun now! Thank you for your support, and best wishes for your continuing success.